I’m a big believer that a change is as good as a rest, especially when it comes to a change of scenery. I love me a little getaway, especially when it involves a whole load of big things. 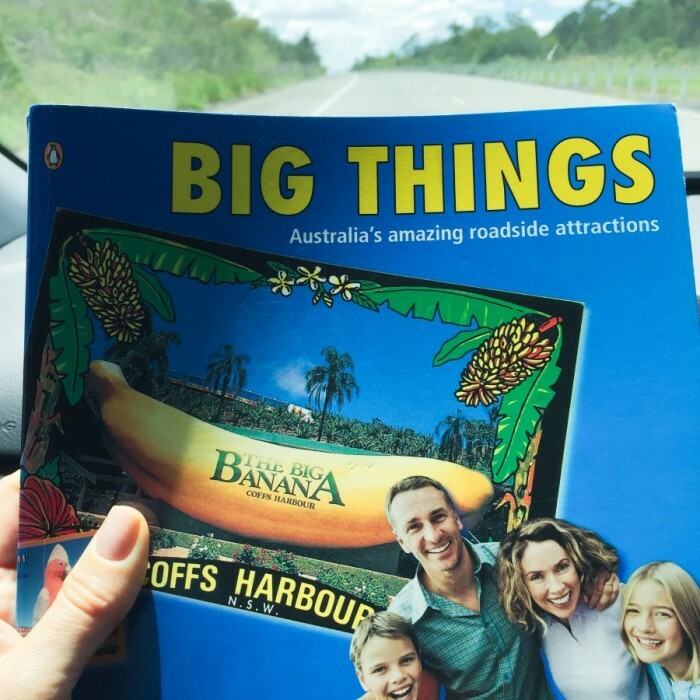 It’s been a while in between big road trips, and over 2 years since we checked out the Big Things from Sydney to Surfers, so a big adventure is long overdue. When I first came to visit Jo in 2002, she was living in Newcastle and the city will always have a special place in my heart. I am full of warm and fuzzies every time I go back. 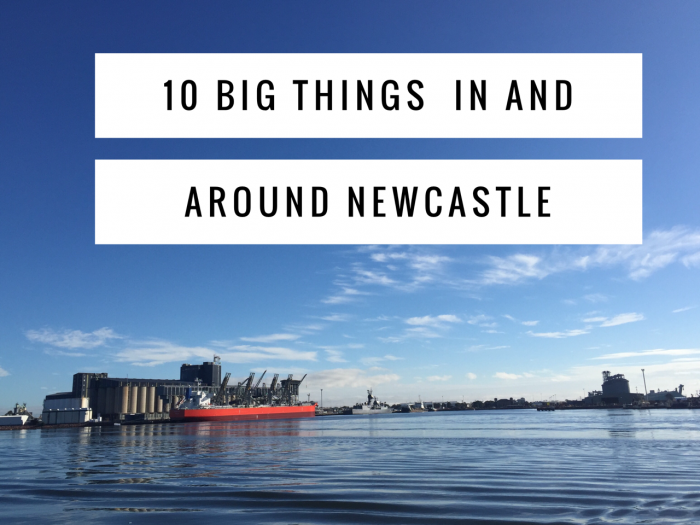 Technically you can make this trip and see all ten big things in one full day as none are further than an hour from Newcastle. However, I have a short attention span, hate long car journeys and will find any excuse to have an extended stay in Newcastle. We opted to split the drive over 2 nights/3 days so that we could enjoy everything that Newcastle has to offer. However, you plan out your drive, one thing is for sure, you’re in for a big treat! The Big Red Ant may not be the biggest big thing you ever did see, but he’s sure to be one of the happiest. 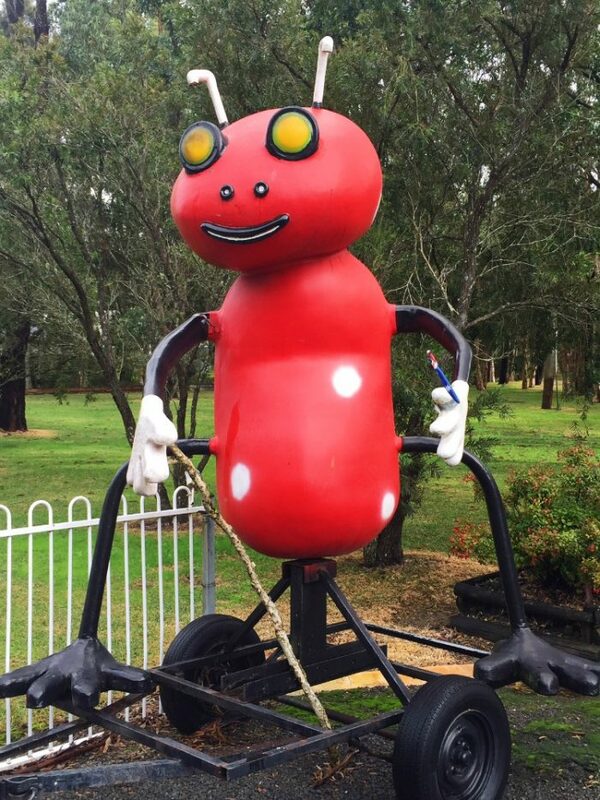 I think we get the last laugh though, because the Big Red Ant marks the entrance of a pest control service whose business is to eradicate red ants and all manner of other Aussie critters. 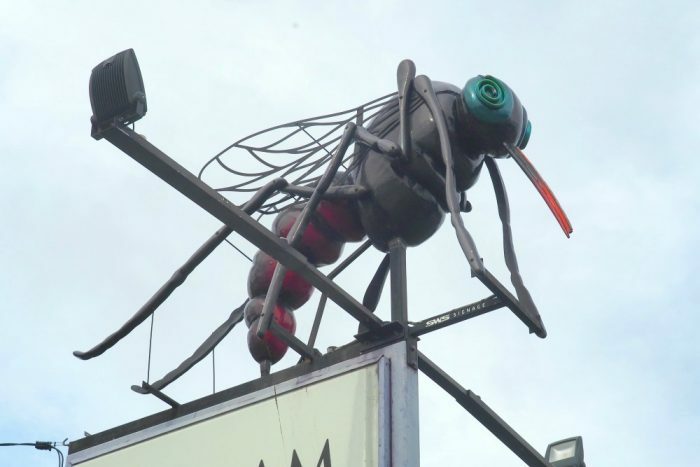 A stop here is sure to be ant-tastic! 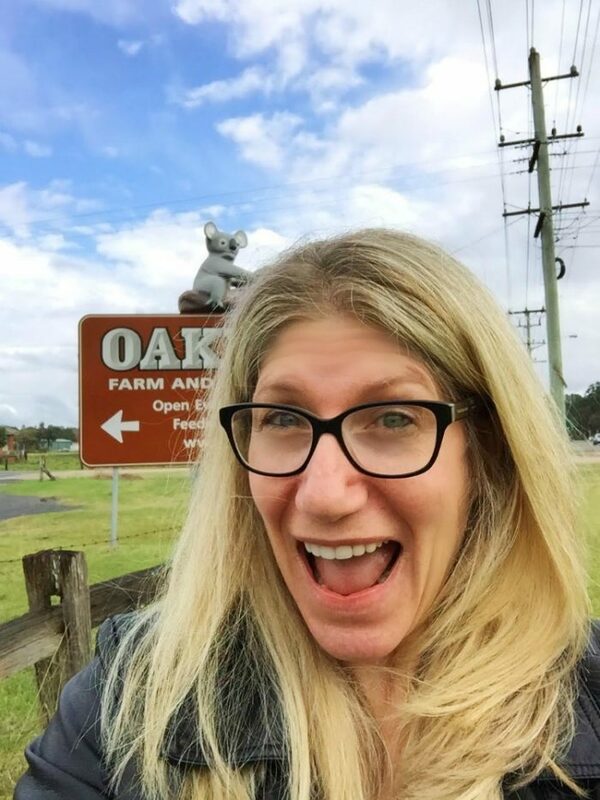 The Big Koala is not the biggest “Big Koala” – there are two in Victoria (at Phillip Island and Dadswell Bridge) that take out the title – but it’s bigger than a real koala and it’s just down the road from The Big Red Ant, so it would be remiss not to see it! 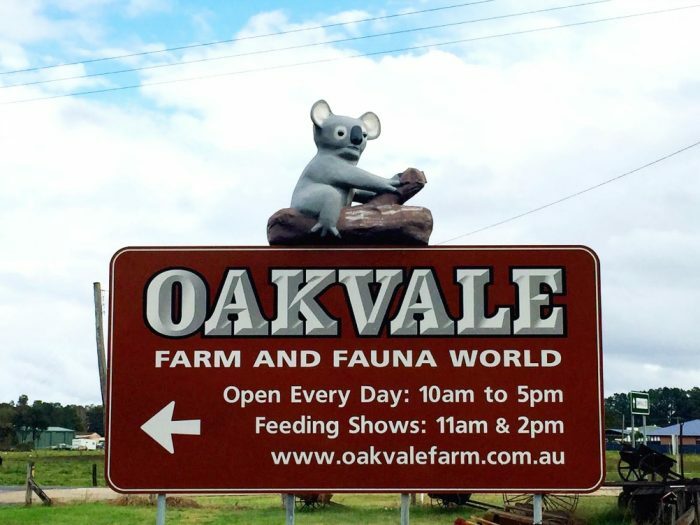 The Big Koala sits atop the sign for Oakvale Farm and Fauna World on the Nelson Bay/Oakvale Drive roundabout and as it’s not located in the park so you don’t have to pay to see it. You will have to do a sneaky pull over to the side of the road to get your shot though! 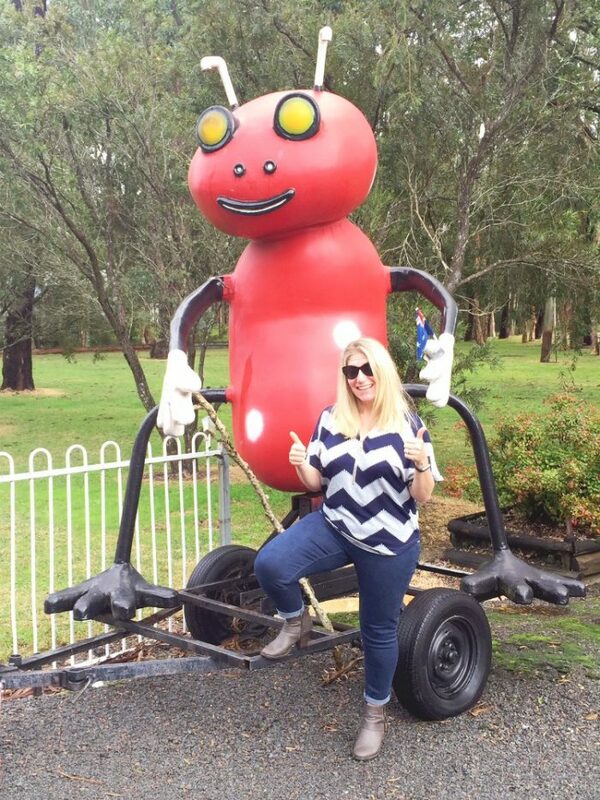 We only had eyes for big things so didn’t have time to pop into the park which is home to over 150 species of native and farm animals and where you can ride a tractor, cuddle a koala and even see snakes and crocodiles! 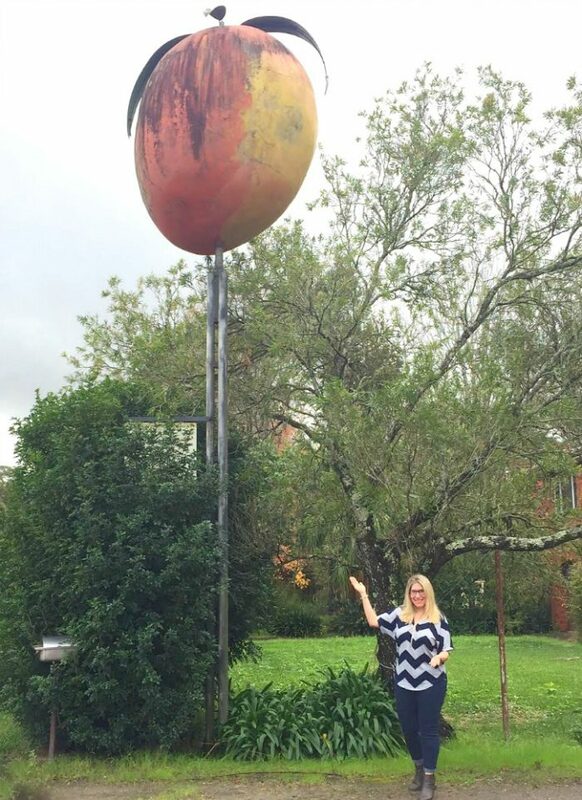 Bakker’s Big Peach is a local and family owned business that is still going strong 50 years on. It only sells produce grown on the property and if you’re lucky enough to visit in season, you’ll be able to take some of the fruits of their labours home with you. 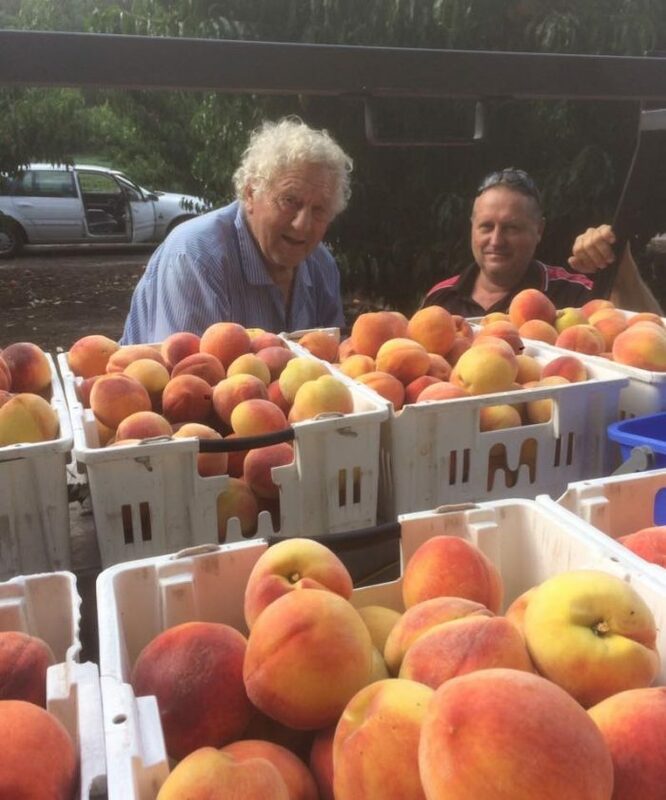 You might even see Old Man Peach who still gets stuck in at the tender age of 84! Ain’t that peachy?! Like us, if you visit out of season and miss out on the fruity goodness don’t worry, The Big Peach stays good all year round! 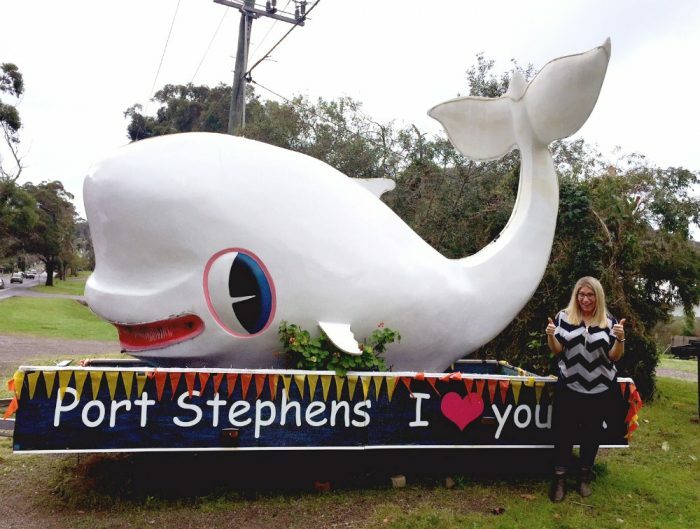 Ratio to real things aside, the Big Whale is the biggest thing you’ll see on this stretch of the trip. It’s probably the most popular too, it’s the only big thing where we had to wait for a photo! 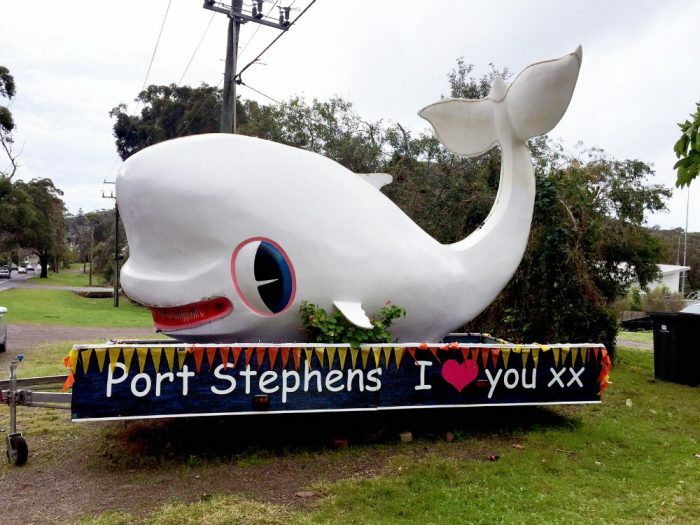 You’ll find The Big Whale at the foot of the winding road that leads to Gan Gan Hill Lookout which with it’s panoramic views of Port Stephens and beyond (even as far as Newcastle) is not to be missed. The drive to the top of the lookout is a bit hair raising and the car park can get a bit cosy, but the views are totally worth it. 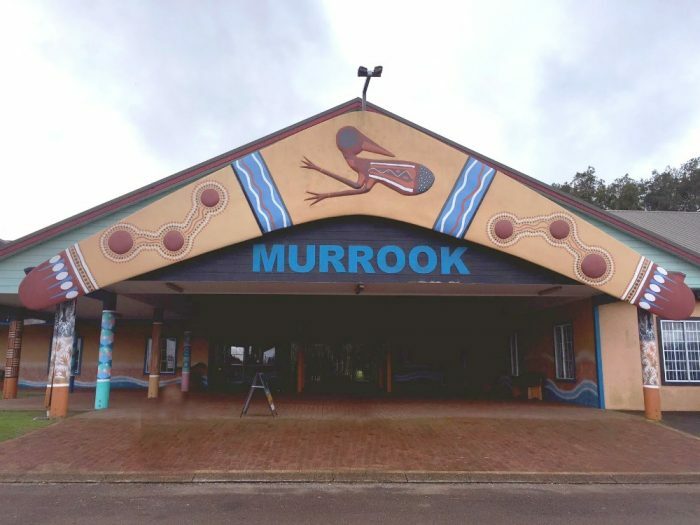 You’ll find the Big Boomerang outside at the Murrock Cultural Centre. 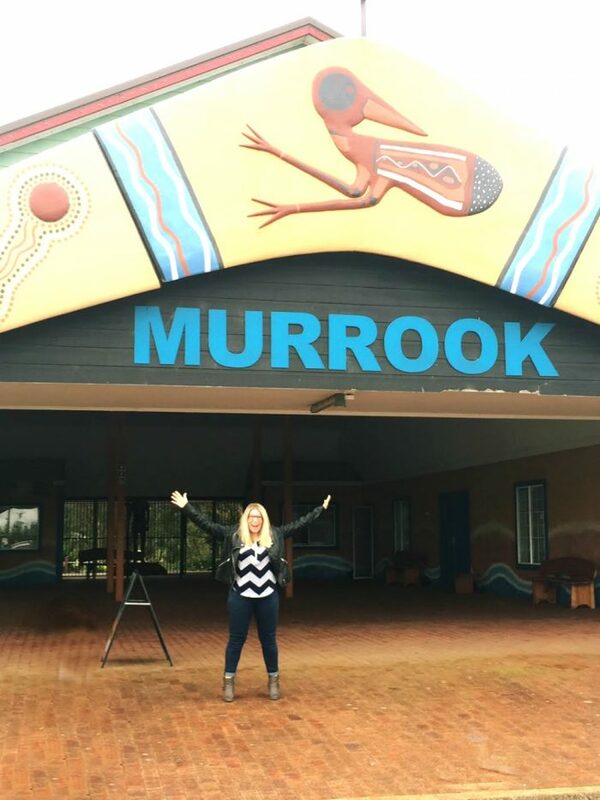 The centre offers a range of educational and cultural experiences with everything from boomerangs, weapons and tools, to the aboriginal arts from didgeridoos to art and dance, and also bush food medicine, cooking, craft (basket weaving, beading), artefacts and much more. There’s even a Big Aborigine out the back, but sadly it was too shady to get a good snap. The Big Headphones are not only big by name and big by nature, they’re one of the few big things that do the same job as the original. 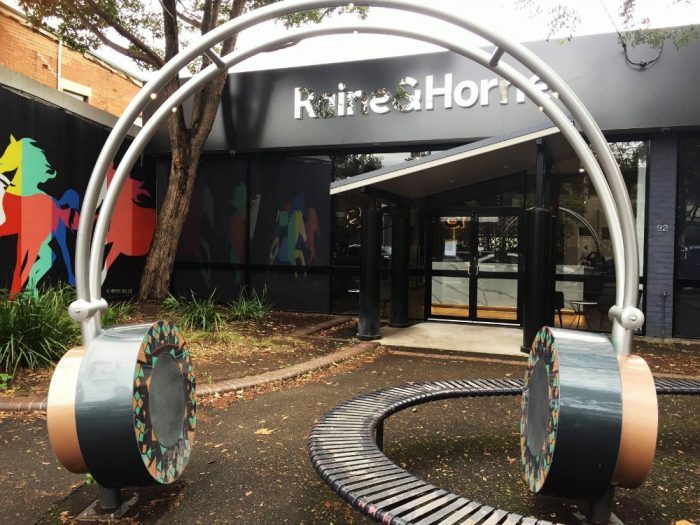 This interactive sculpture unveiled in 2015 is young by Big Things standards, but comes all with mod cons, including Bluetooth functionality so people can play music from their collection, and there’s even a pickup and sound mixer so musicians can busk. The Big Headphones is actually a large amplifier from which you can play music for everyone to hear and if you don’t have any music of your own, the Big Headphones will play some for you from a carefully curated playlist. 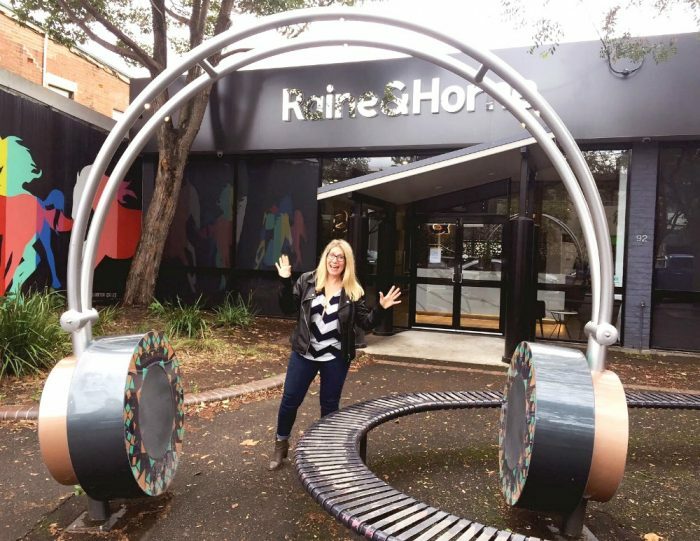 The Big Headphones were “designed to help local musicians be heard” and musicians can plug in and play for free! The Headphone Project is not for profit and is proof that big things can happen when the community collaborates. And don’t miss the street art just behind the headphones. 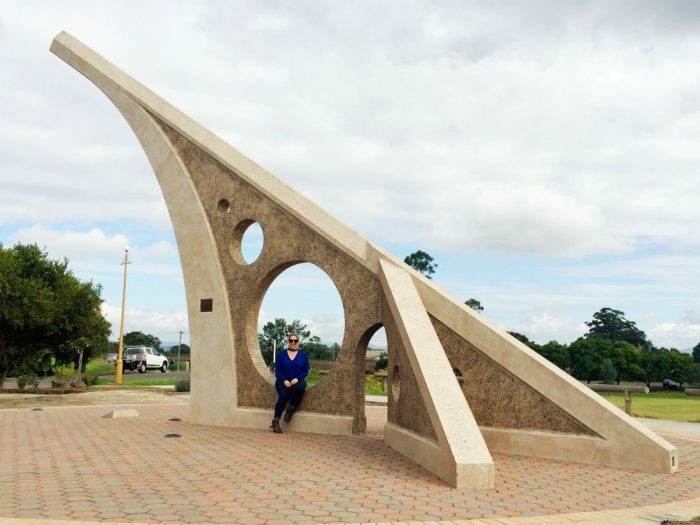 More big things were built in 1988, Australia’s Bicentenary than in any other year since 1964 when the big things gig got started, and the World’s Largest Sundial was one of them. It was a big job (pun intended,) to place the sundial in the right spot, taking four tradesman twelve working days to erect the sundial. Measuring up at 7.2 x 4.6 metres and weighing in at 30 tonnes this sundial is big by name and big by nature, and in 1987 it scored a place in the Guinness Book of Records for being the World’s Largest Sundial. 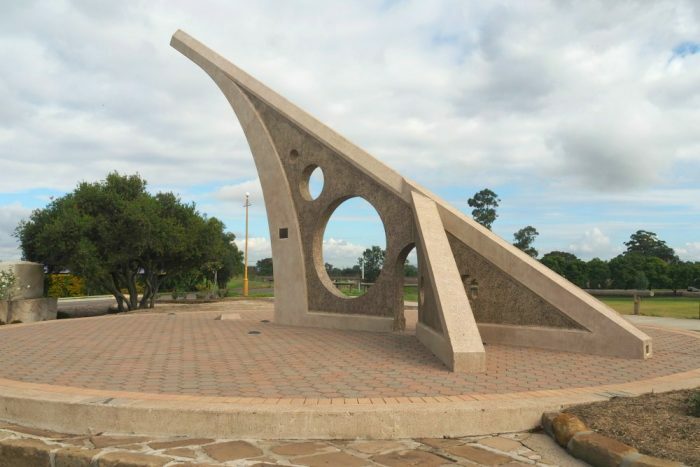 Over the years, it has faced big competition from oustize sundials in Lloydminster in Canada, Frankfort in Kentucky and in Delhi, India and while it may not be the biggest in the world, it’s still the biggest in the southern hemisphere. The sundial really works so it’s fun and educational. If you want to stop in Singleton for a while, Rose Point Park just behind the sundial is pretty as a picture with lots of shady spots, an all abilites playground and the perfect place for a picnic! 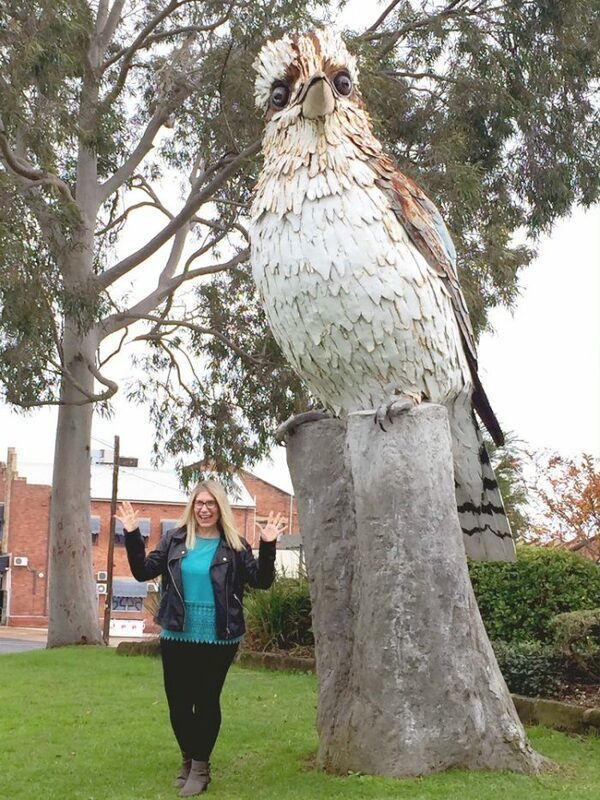 The 4.5 metre kookaburra is a relative newcomer to the Australian Big Things scene making it’s big entrance to the town of Kurri Kurri in 2009. 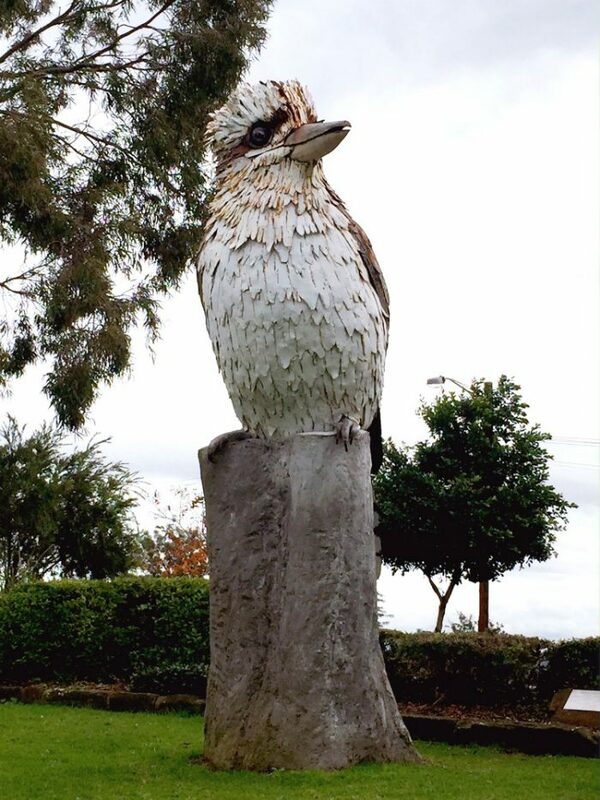 The native Australian bird is local to the area and is also a popular logo for several Kurri Kurri sporting and community organisations so it seemed only fitting that the Kookaburra should get super sized and perch pride of place in the town’s park. You get big value at The Big Ugg Boots because essentially you get two big things for the price of one! 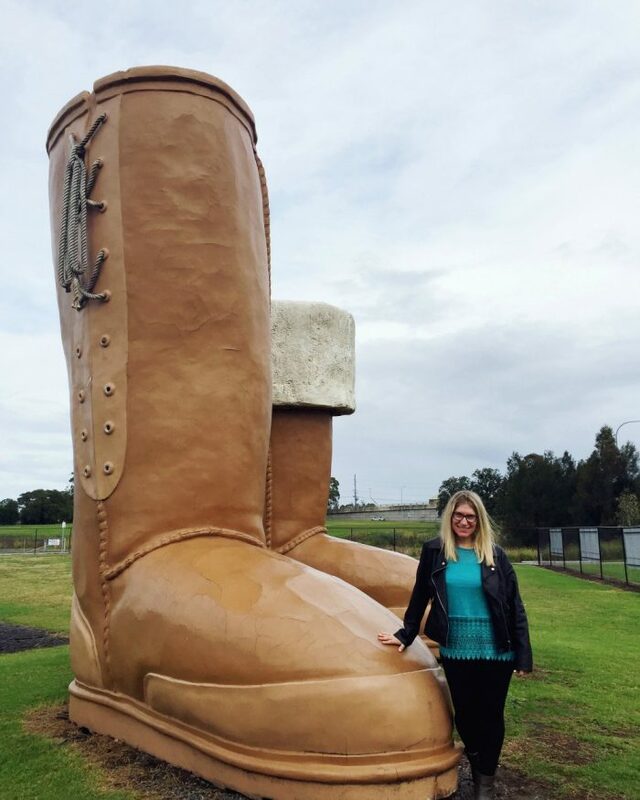 The boots became the 152nd Big Thing, or should I say Big Things, on Monday 20th April 2015, the day before a Category 2 cyclone ravaged the Hunter region. Luckily, the Big Ugg Boots constructed from fibreglass and steel, measuring up at 5 metres high and weighing approximately 600 kilograms each, remained strong and fast despite the weather conditions. The big Ugg Boots were the big idea of Tony Mortell, owner of Mortell’s Sheepskin Factory as Mortell’s developed their own notion of ugg-tourism. 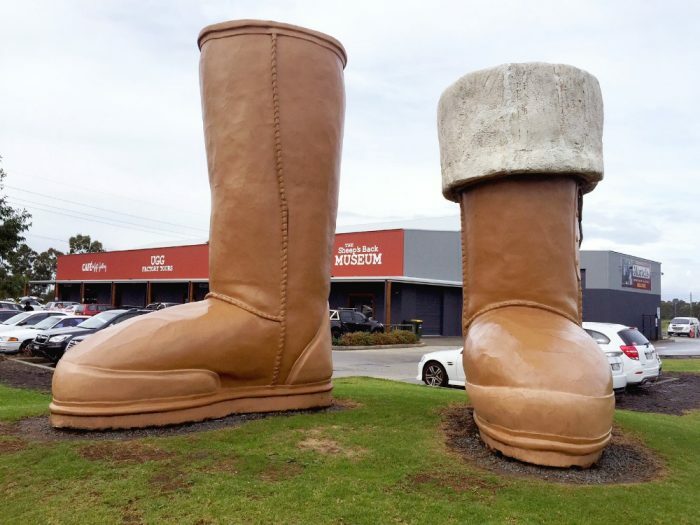 This place is more than just an Ugg outlet, visitors can enjoy a factory tour, refuel at the cafe, buy some Ugg boots and of course, take a picture of the biggest Ugg boots in the world. Well played, Tony! 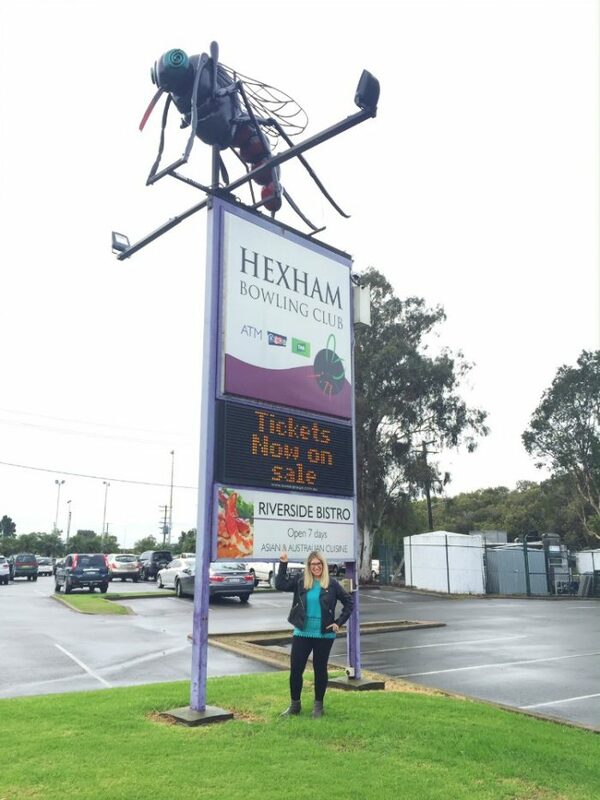 “Ossie th Mossie” has been pulling in the punters at Hexham Bowling Club since he took up residence in 1993. It’s not so big compared to other big things, but when compared to real things, in terms of scale, mosquitos don’t come bigger than this. In 1998, the club underwent major renovations and Ossie almost met an untimely end when a design company hired to revamp the club’s image thought that a mossie as a mascot wasn’t a good fit. Luckily, the members who were balloted thought otherwise and Ossie the Mossie now has permanent residence at the club. I haven’t been inside, but I bet the place is buzzing! And if you fly by at night, you’ll see Ozzie’s eyes, they light up at night! What big things have you seen on your adventures? Got any big recommendations for me? Do you love a weekend getaway? Have you ever been to Newcastle? Tell me all the things!